For something a little different, try gifting one of our beautiful ready to drink Scottish cocktails using the finest spirits & botanicals Scotland has to offer. 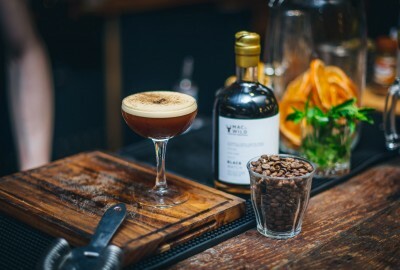 The Blackwatch Espresso Martini is a dark and stormy take on the Espresso Martini. Talisker 10 is infused with Edinburgh Roastary, Artisan Roast's, Janszoon coffee Beans to make a smoky, salty yet sweet dram with a heavy dose of coffee. best enjoyed as a post dinner pick-me-up on Hogmanay. Alternatively, simply chill and serve 50ml wherever and whenever you so choose.